At least according to T.S Eliot it is, but from where I’m sitting and looking back, March 2013 is a top contender and that is in the relatively mild South East of England; I pity the poor farmers in the North and in Scotland. Today is April 1 and whilst it is now sunny with blue skies there is a bitterly cold wind blowing, the type described as a ‘lazy wind’ because it blows straight through you! 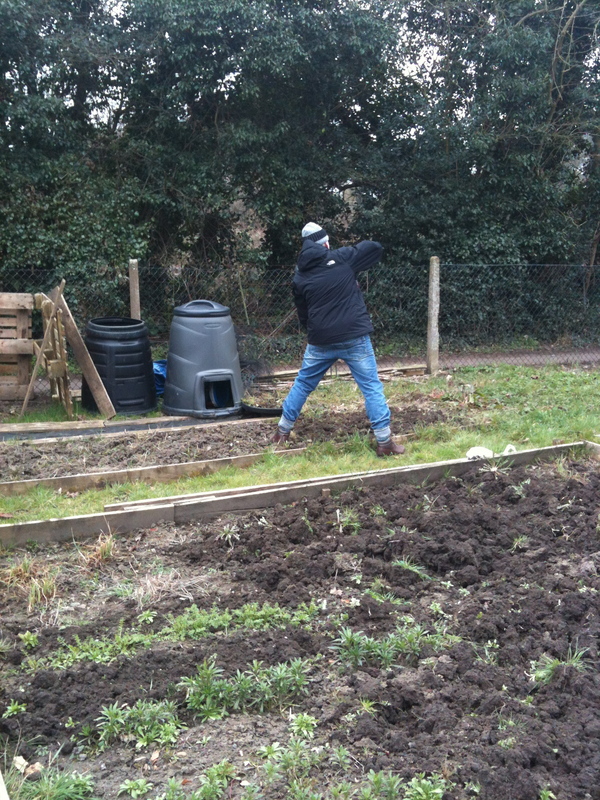 Being Easter Monday it has meant that at least some of my day has been given over to gardening and so first thing I headed out to the allotment, taking the under gardener with me for a long-promised (by him) digging session. We spent about an hour there before the cold drove us back home but I was able to turn over the square bed (for my flower planting) and I set my helper to work to finish digging a previously untouched, at least by me, bed that I want to put my runner beans in this year. Both beds now need a good weeding, but if the drying wind keeps up, this along with a few more frosts will break down the clods of earth and weeding will be much easier. And of course the birds get the chance to root around for lurking bugs and beasties. So I’m now crossing my fingers crossed that Eliot’s statement is not proved correct this year and that April proves kinder than March – we gardeners need to get on with the Spring! This entry was posted in Adventures in my allotment and tagged weather. Bookmark the permalink. It’s not at all bad here in the Outer Hebrides, although like your conditions, it is unseasonably cold, we are lucky to escape the snow that bothers the rest of Scotland, thanks to our maritime climate. It would be nice to see some spring vegetation though!